Xaiomi has established its foothold in Smartphone space and it seems it is all but set to conquer the wearable market in the coming days. This is evidenced by the latest data released by IDC. 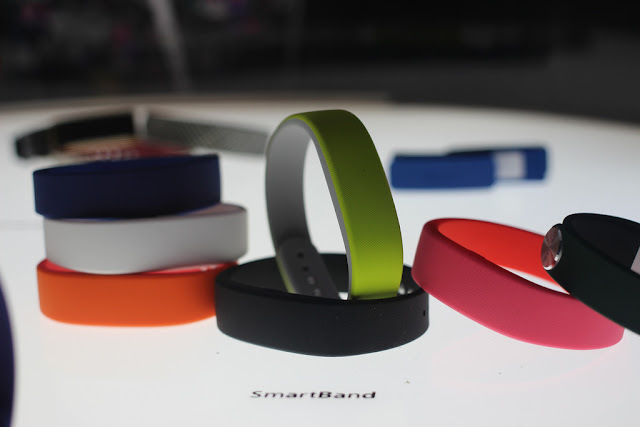 The list is led by Fitbit and followed by Xiaomi which climbed to second position. Apple and Garmin occupy third and fourth positions and Samsung completes the Top 5. According to the report, the total shipments of the smart bands has reached 33.9 million in 2016, Q4, a 16.9% increase when compared to last year (same period). 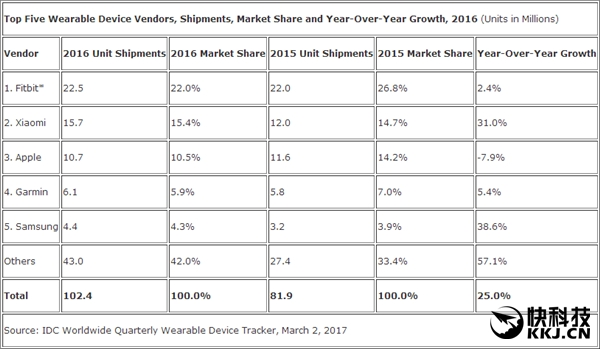 Fitbit is leading the race with 6.5 million units sold during that time although, it looks positive in the hindsight. In reality, Fitbit witnessed a significant decrease in shipments by as much as 22.7% when compared to the Q4,2015. On the other hand, Xiaomi has managed to double the year on year sales with 5.2 million units shipped thanks largely due to Xiaomi Mi Band 2. Apple managed to sell 4.6 million units with a growth rate of 13%, followed by Garmin with 2.1 million units and Samsung occupied the last position with 1.9 million smart bands during the same period of time. In the yearly sales, Fitbit sold 22.5 million units with 22% market share, Xiaomi occupied the second position with 15.7 million units with 15.4% market share,Apple is third with 10.7 million units (10.5% market share), Garmin 4th with 6.1 million units (5.9% market share) and Samsung last with 4.4 million sold units (4.3% market share).